A member of the brassica family, savoy cabbage is a popular and versatile vegetable. With its deep green colour, full flavour and robust, crinkled leaves, it valiantly holds its own in any hearty dish. At its best between October and February, savoy cabbage makes an ideal addition to cold weather comfort dishes, and is perfectly paired with game or pork; Andy McLeish combines the cabbage with other seasonal ingredients in his gorgeously Autumnal poached and roasted pheasant recipe, while Dominic Chapman serves his savoy buttered with Toulouse sausage. Vegetarians, too, needn’t feel left out. Innovatively making use of the cabbage’s strong leaves, Graham Campbell wraps his vegetarian haggis in savoy cabbage parcels - serve with neeps and tatties on Burns Night, or roasted vegetables and gravy for a warming Winter meal. 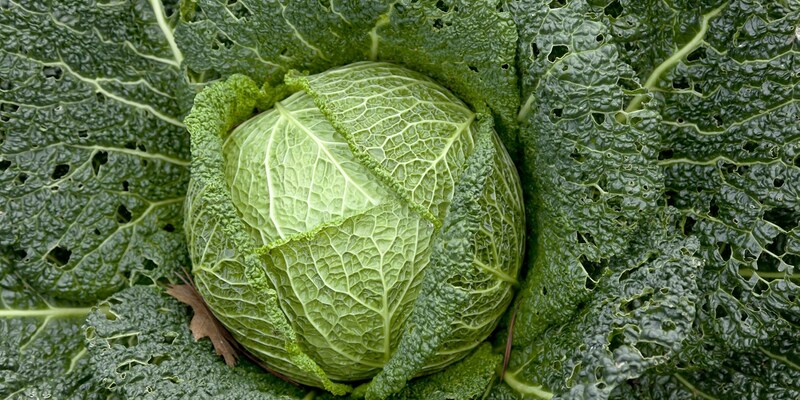 Take a look at our how to cook guide for more information on buying and cooking savoy cabbage.